This kit is for connecting with the grid power. Excellent for net metering project. This system can generate about 9000 kWh per year. The performance using optimizers is the same as the micro inverters. The cost is much cheaper than the micro inverter system. Output performance better than the string inverter system. Sloped roof mount racking (2 x 9, portrait), price may be change with different layout. *Contact us for shipping rate. 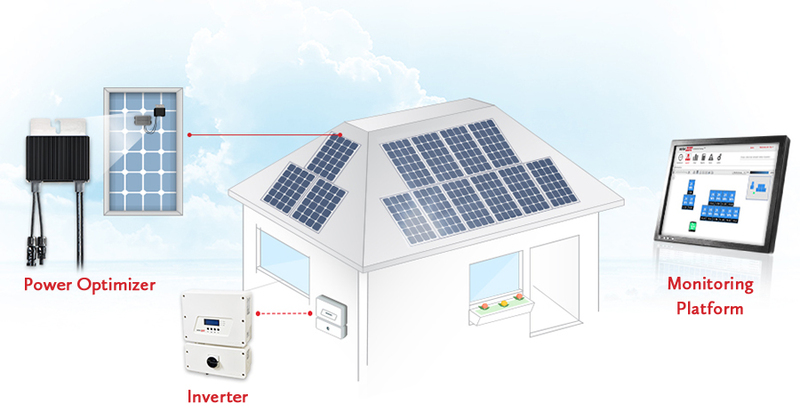 Click here for the SolarEdge optimizer info.